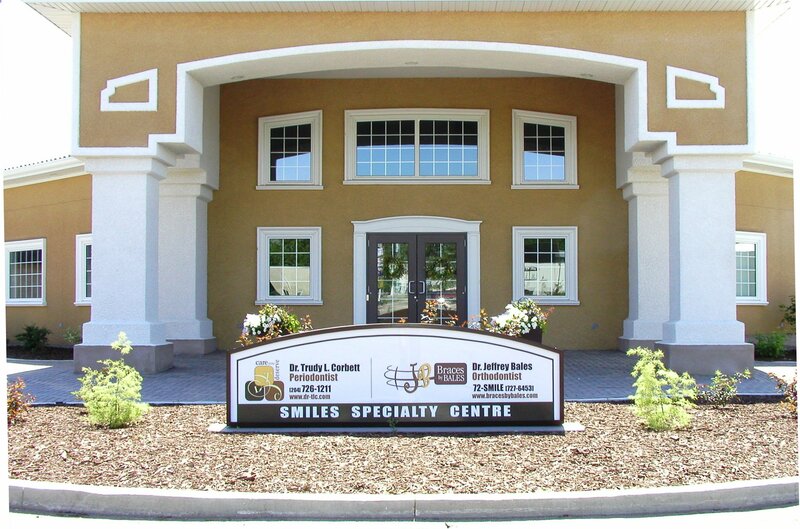 Dr. Xiang and his team of hygienists deliver comprehensive periodontal treatment to the people in the Brandon and Westman area. Part of our commitment to serving our patients includes providing information that helps them make informed decisions about their oral health. Our Website is a resource you’ll find both interesting and educational. I was one of Dr. Corbett’s first patients. By the time I saw Dr. Corbett my gum disease was fairly well advanced. I had two surgeries and since them I have appointments every four months for root planing. I always see Dr. Corbett after every visit as she likes to check everything. Her staff is excellent. I would certainly recommend Dr. Corbett to anyone requiring a periodontist. Our daughter, who has special needs, has been a patient of Dr. Corbett for the past several years. She has had many appointments with Dr. Corbett and we have always been pleased with the care and professionalism shown by Dr. Corbett and her staff. They have always shown patience and concern for our daughter’s well-being. Dr. Corbett sets the highest standards in periodontal care. You will not find more expert care anywhere. I have been a patient for many years and have received everything from routine check ups to advanced surgeries, and cannot imagine being treated by anyone else. I consider myself extremely lucky to be her patient. The office staff makes you feel like part of a family and provides a caring and comforting environment. I would recommend anyone needing periodontal care to go there. I had my dental implant surgery completed on January 15th of 2008. Dr. Corbett’s office at the time was located on 10th street and the procedure went very smoothly. Initially I took 3 days off of work to let the healing process begin following the procedure. There were no fears that I had about dental implant therapy. Upon learning that I would not been a good candidate for dentures in the long term it only made sense for me to improve my appearance by working on my original teeth. The procedure was not uncomfortable however the first few weeks I had to be concerned about the cold weather outside and made sure I did the proper rinsing of my mouth to make sure the healing process continued. The recovery time took a few weeks and it was actually a few months before a temporary fitting could take place and then a permanent fixture. Working in conjunction with dentist Dr. Margaret Choy I was eventually able to add crowns to my upper teeth and along with the dental implant work it gives me a very confident smile. I continue to have cleaning and check ups at Dr. Corbett’s office every 3 to 4 months and the treatment and surroundings is always first class and very professional. I would definitely recommend dental implants to a friend or family member. One of the reasons that I began visiting Dr. Corbett’s office was because I was suffering from bleeding gums. However since my treatment began there that situation has been corrected and my dental health continues to improve with regular visits. Good Morning, I am very pleased with the treatment and care that I have received at Dr. Corbett’s office. When I first came in I had gingivitis and some gum recession. Through the treatment and training to clean my teeth and gums more effectively, the gingivitis is gone and the gum recession is halted. Dr. Corbett and her staff are fabulous to work with. They will provide any information that you need that you were not aware that you needed and answer any questions you may have. I would recommend a vist to them to anyone even if you believe you do not have any teeth or gum issues. You would probably be surprised at what they would find and how beneficial it is to get a head start on anything that may or may not be developing. Thank you, Dr. Corbett and staff for all your excellent work! I’ve never been one who enjoyed going to the dentist, even the thought of a routine dental check up caused anxiety attacks. When I was told I had to see a Periodontist and was referred to Dr. Corbett, I was literally terrified. From the first moment I walked in the door I knew I was going to be well looked after. Dr. Corbett and all the wonderful staff go out of their way to make you feel comfortable and relaxed while providing you with the most professional treatment. You truly provide “care you deserve” and “T.L.C.” I encourage anyone who requires periodontal treatment to contact Dr. Corbett and take advantage of the wonderful care they provide. Brandon Perio Clinic, highly recommended by my dentist. 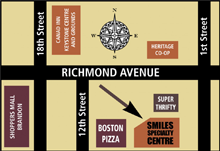 A clinic with caring and personable support staff in a calm and relaxing atmosphere. In my opinion, Dr. Peter is an experienced and excellent professional with a very friendly and engaging doctor/patient demeanour.